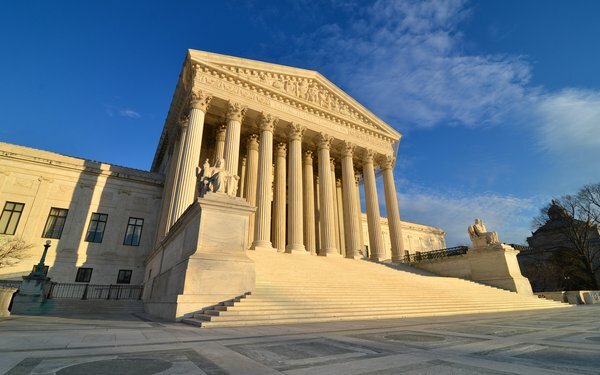 The Supreme Court Wednesday sent a long-running privacy class-action against Google back to the lower courts, with instructions to decide whether the company harmed people by transmitting their search queries to publishers. If the answer is no, the lawsuit would be dismissed, under the ruling issued Wednesday. Google agreed to resolve the allegations by donating $5.3 million to six nonprofits and schools -- including at least one that previously received money from Google. The settlement also requires Google to pay more than $2.1 million to the attorneys who brought the lawsuit. Ted Frank, founder of the Center for Class Action Fairness, challenged that deal. He argued that it should have been rejected because it didn't compensate Google's users. When the Supreme Court heard Frank's challenge last October, several judges questioned whether the people who sued should have been allowed to proceed at all. Neil Gorsuch specifically asked why leaking a name was actionable. “Is there any evidence that his personal information, for example, wasn't already available through the white pages and otherwise published so that there is no injury in fact?” he asked. Stephen Breyer also asked what “concrete injury” was suffered by the people who sued. He referred to allegations by Anthony Italiano, one of the two class representatives named in the case. Italiano alleged that his searches included his name paired with the word “bankruptcy,” as well as his name with “foreclosure,” and his name with his home address. The Supreme Court ruled in 2016 that consumers can only proceed in federal court if they can prove they suffered a “concrete” injury. That matter involved a consumer's allegations that the online data aggregator Spokeo displayed inaccurate biographical information about him. The 9th Circuit Court of Appeals subsequently ruled that the consumer could proceed.